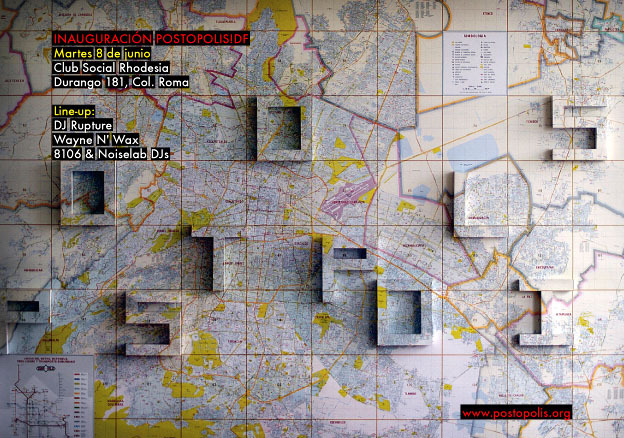 From 8-12 June 2010, Storefront for Art and Architecture, in partnership with Museo Experimental El Eco, Tomo and Domus Magazine, hosted the third edition of Postopolis!, a public five-day session of near-continuous conversation curated by some of the world’s most prominent bloggers from the fields of architecture, art, urbanism, landscape, music and design. 10 world-renowned bloggers from Los Angeles, New York, Turin, Barcelona, London and elsewhere convened in one location in Mexico City to host a series of discussions, interviews, slideshows, presentations, films and panels fusing the informal and interdisciplinary approach of the architecture blogosphere with rare face-to-face interaction. Each day, the 10 participating bloggers met in the magnificent courtyard of Museo Experimental El Eco, designed by Matthias Goeritz, and conducted back-to-back interviews of some of Mexico City’s most influential thinkers and practitioners – including architects, city planners, artists and urban theorists but also military historians, filmmakers, photographers, activists and musicians. The first Postopolis! took place in the gallery space at Storefront for Art and Architecture during the summer of 2007, and a second edition was held in Los Angeles in 2009.